Once uploaded, simplify click on Install and follow the short wizard. For existing users, enable the theme by going to the user record, edit, go to the Themes tab, and select from one of the many new theme schemes. To set a theme as the default theme go to Admin->Themes and select a Default Theme from the dropdown. 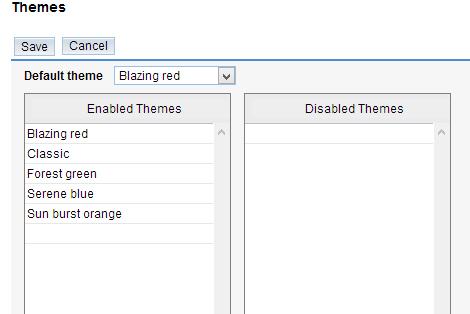 You can enable/disable themes below in the Enable/Disable section.